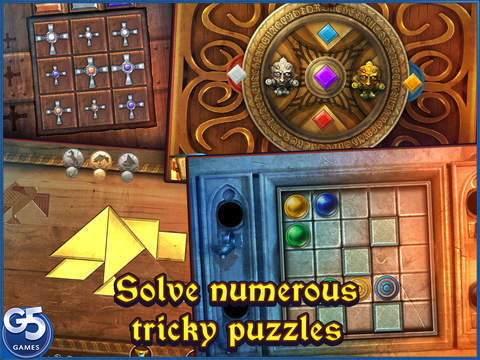 Plenty of puzzle variety to keep you interested. Doesn't really bring anything new to the table. Where Angles Cry: Tears of the Fallen has gamers playing as a secret agent – a monk secret agent, who has been tasked by the Vatican to take care of a monk who has gone rogue. It seems that Inquisitor Augustine has gone a little crazy in his quest to take out witches, and now the people of the town of Portonero are in danger. It’s up to you to find the Inquisitor and bring his evil practices to a halt – the lives of many are in your hands. Tears of the Fallen is pretty much standard for games of the hidden object adventure genre. You will travel around the town and surrounding area, opening up new environments as you work your way through the story. As different parts of the story line play out, you’ll end up needing to go back and forth between the different environments to talk to new people and pick up new objects as they become available. This entails a combination of just picking up objects that are just laying around, and earning objects through a variety of different mini games. If you aren’t a fan of too much wandering, the map feature allows you to jump from area to area at the click of a button. These games take several different shapes, from assembling pieces in the right order to using dexterity to master a sword fight. 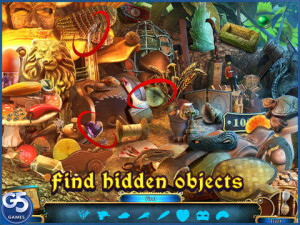 There are also a number of traditional hidden object finds, where players must find a list of objects amidst a jumble on a fixed screen. Each of the games and jumbles either unlocks a new area or provides a needed object for your inventory, and they do a nice job of furthering the story line as well. For gamers who need a little extra help, there is a hint feature available that refills on a timer. 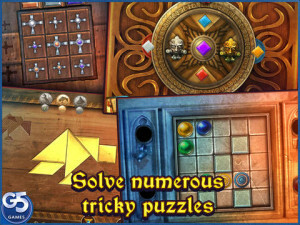 Mini games can also be skipped after a short time, so there are options available if you don’t like too much challenge (or if you have young hidden object fans in your household). When Angles Cry: Tears of the Fallen is a well put together example of what the hidden object genre has to offer. With a variety of different puzzles to keep players busy, an interesting story line to pull you into the game, and several hours of game play available, it’s well worth its price tag. Though it doesn’t bring anything earth shattering or unique to the table, it’s an enjoyable play that offers just the right amount of challenge.